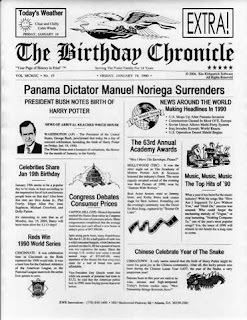 A personalized (8 1/2 x 11) mini-newspaper front page, going back as far as January 1, 1900 up to December 31, 2010. 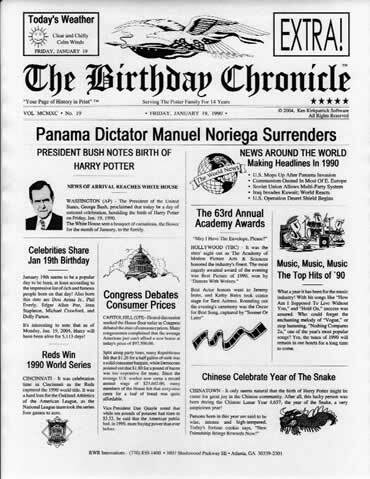 Your Birthday Chronicle includes a greeting, by name, from the then-President of the United States, plus newspaper headlines and stories from the year of your birth. 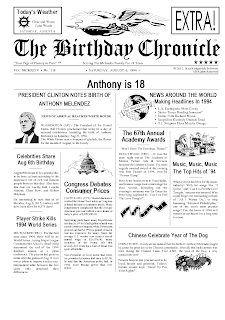 You will enjoy reading your Birthday Chronicle over and over again. Always a conversational piece with groups young and old ... you will be able to read and reminisce about the academy award winners and the top music hits and songs from the year of your birth. This item will be sent via email in a PDF format. Leave your printer settings to normal and it will print on your standard sized paper. These make a great gift framed. My oldest son Anthony is turning 18 this year and I thought it would make a neat gift. I have printed it out and will frame it in time for his birthday. Its neat to see things that were going on the day he was born! 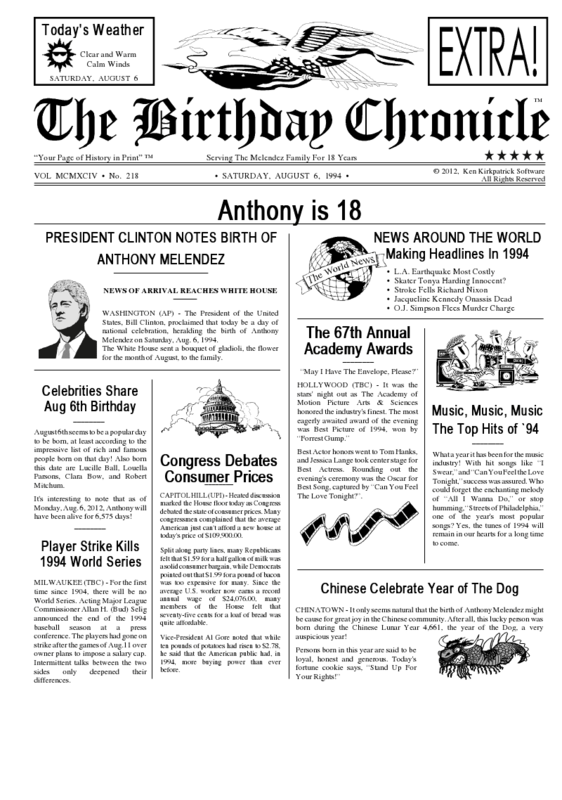 You can order your own Birthday Chronicle for just $2 emailed or $20 for framed. First and Last name, title and a Date of birth. Its neat look back on history. It can be made for any ones Birthday or special day . Oh, we have LOTS of birthdays coming up, including my FIL and BIL.